Question: A friend of my child has disclosed some personal information to her. She doesn’t know what to do with this info. Neither do I! But I feel I should do something. Help! You don’t say what area the information falls into so this reply will be in relation to commonly reported sensitive situations involving disclosure. In general, the need to disclose is strong in those who are required to keep an ongoing situation secret. Ongoing long-term secrets could be about family disharmony- alcoholism, domestic violence, abuse, hidden family structures which either affects the child who is disclosing or is impacting on the behaviours of others in their environment. The disclosure brings about a sense of relief after ‘bottling up’ the information. This may initially bring a sense of ‘lightness’ and ‘freedom’. However, this may be followed by denial that this information was ever disclosed and a rejection of the chosen receiver of this information. What started off as a gift- being the chosen one to be trusted- can turn into seeing the recipient as a betrayer for even hearing the information. For the child disclosing, it’s like trying to put the genie back in the bottle after it has escaped- not possible of course- although they will act as if they can. For the person who was disclosed to, they are now the holder of two genies in two bottles. Two genies? Well they have the knowledge of the secret that was shared with them plus the feeling of responsibility to do something with that information. And if that isn’t enough, they are often told to not share this with anyone else, to keep it confidential. So one genie is about the knowledge and one is about keeping it secret; we now have two secrets. This is a very difficult situation for children to handle as it will cause emotional conflict. Telling an adult that this has happened is yet another disclosure so there are now two vulnerable children in this circle of damage. And if you are the parent of this trusted child- you too are now in the circle- hence your own distress. Another kind of disclosure happens when it is prompted by a likely change in the status quo- a family split, reported criminal events or, increasingly affecting school-aged children, gender re-assignment to their peers. The latter may well be announced by the school to the class and reported back to you by your child. Parents often report disquiet that they would like to have known that this was going to happen ahead of time so that they can discuss this privately with their own child at the emotional level they feel they are able to handle this information. Children who disclose do not usually expect you to take action or to solve the problem, though you may feel this very strongly. Disclosure is often about practising saying it out loud. This may well be one of many rehearsals that will lead to having the confidence to tell a significant person who can take action. Children who disclose are seeking to normalise a situation that they know, at some level, is not right. Saying it out loud makes it more ordinary- and therefore more manageable for them- even though you may feel this makes things even worse in your mind. Children who disclose information where they are clearly at risk needs reporting. This is called a Safeguarding concern and every school has someone with responsibility for managing the next steps in the process. To help, keep a record of dates, times, key content of the dialogue etc. 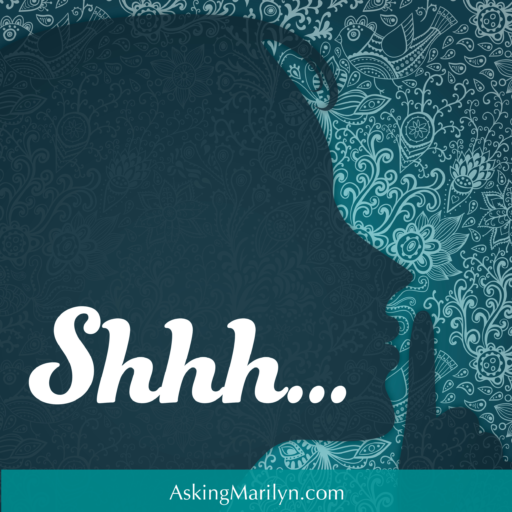 The disclosing child may already be on a register or concern list. You can make a useful contribution and should do so. You may not be the only holder of the knowledge. On rare occasions, this is the moment- the piece of the jigsaw that illuminates the whole picture of this child’s life. If you need help with this, seek out some therapeutic support too as it can be a disturbing experience. Appreciate that passing on the secret was not easy for them, that you appreciate their trust and that it was the right thing to do in the best interest of their friend’s welfare. Avoid explaining what might happen next- the child’s reaction, the possible actions by adults. Encourage the child to carry on exactly as they had before as that is what the friend would want. Suggest spending time with several friends, as well as this friend, for the next few days- allowing space. Make it clear that the keeping of this secret is still important. Use a visualisation activity with your child…… putting the secret in a little box and putting it on a high shelf. It is not necessary to keep checking on it. This will bring about a sense of closure and distance. Keep a particularly loving closeness with your child during this time- it may be the first time they have discovered that the world can be cold and cruel for some children. This can be shocking. Allow time for a sense of security to return and if hard question are asked as to ‘why’- then ‘I don’t know” is a good answer and will be enough to satisfy their needs.